Blue Moon does Flanders Red? Re: Blue Moon does Flanders Red? Don't buy it expecting it to be a Flanders red. It is not and the bottle doesn't say so either. It says "blended with Flanders red". It is a decent wheat beer with a tart Flanders note. I passed it thinking it was Strawberry, perhaps I'll take a closer look. Funny, the shop I bought it at had it listed as strawberry in their checkout system. You're not the only one. 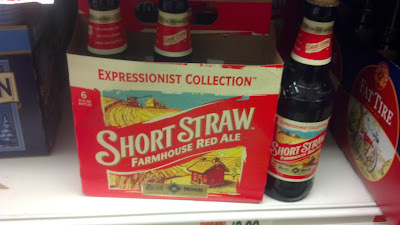 Well it says straw and the box is red.